Will Hiding Mom & Dad’s Meds Keep Teens’ Hands off Them? While fewer teens may be trying inhalants as reported recently in The Wall Street Journal, more teens are abusing prescription drugs. “Every day, 2,500 kids age 12 to 17 abuse a prescription painkiller for the first time, and more people are getting addicted to prescription drugs,” according to the federal Substance Abuse and Mental Health Administration. Remember when your kids were toddlers? They were like little Magellans and Houdinis. Somehow they were able to discover and reach things you were sure they couldn’t. In the blink of an eye they could get their hands on things that could have harmed them. You believed that when your kids got older they would be able to make good choices and protect themselves. You thought all your hard work when they were young would pay off and you could allow them more freedom by the time they were teens. And yet many thousands of teens are abusing prescription drugs without their parents’ knowledge, often by sneaking them out of the medicine cabinet. According to federal officials, teens are getting these prescription drugs from home, friends, family and online pharmacies. 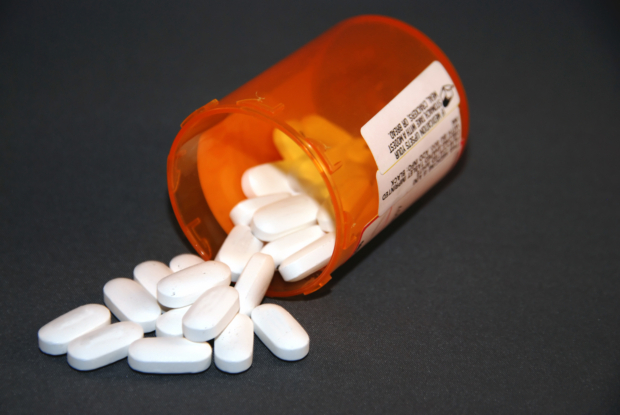 Do you know the most commonly abused Rx drugs by teens? If you answered OxyContin and Vicodin you are correct. These drugs are both opioids, and they are prescribed pain relievers. Why are kids abusing Rx drugs? According to Teens and Prescription Drugs-An Analysis of Recent Trends on the Emerging Drug Threat from the Office of National Drug Control Policy, teens abuse prescription drugs because they believe prescription drugs will give them medically safe high. Let’s hope they’re not, since “pharming” is seriously dangerous. Opioids can produce drowsiness, constipation, and, can depress breathing. Taking a large single dose could cause severe respiratory depression or death. As much as you may trust your kids, parents need to be aware of the potential dangers and keep prescription drugs out of teens’ reach. But there are ways you can help prevent prescription drug abuse. How can teen drug abuse be prevented? Talk with your kids. I don’t mean wait to your kids are teens and say, “Don’t do drugs.” I mean even before your kids are little toddlers are exploring the world, engage and attach yourself with them so as they get older you won’t be at a loss for words. The communication and conversations become so natural that you’ll be able to bounce things off each other. You’ll always be the parent and role model, but get on their level so you can simply talk to your kids. Talk always and often. Know your kids’ friends. It’s really important to know who your kids hang out with. Get to know your kids’ friends’ parents too. Encourage them to be involved in activities that they love, such as sports, clubs and hobbies. So while hiding your prescription meds and keeping them out of your teens’ reach is a good step, keep a keen eye on your teens and never stop talking.